Npadre.com welcomes you to North Padre Islands premier website …. 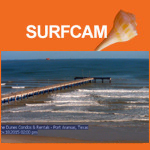 with surf & bay cams, current beach, surf and fishing reports and forecasts, as well as info for the island and surrounding communities, Npadre.com is your number one site for North Padre Island, Port Aransas and Corpus Christi! 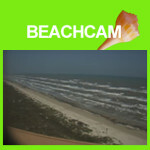 Upper Padre Island is located just east of Corpus Christi, three hours from Houston and two hours from San Antonio, along the coastal bend of Texas. The beaches of North Padre are situated facing the Gulf of Mexico, along the barrier islands that extend from north of Corpus Christi to the Padre Island National seashore to the south. At over 100 miles long, Padre Island is one of the longest barrier islands in the world and provides miles of beaches to explore. With its invigorating gulf breezes, mild temperatures and laid back atmosphere, the island is the perfect escape for anyone needing a break from the daily routine. North Padre is also a mecca for beach and watersport enthusiasts who are drawn to the water, sand and warm weather of the island. Whether its beach combing, fishing, swimming, surfing or sunbathing, there are many activities to be enjoyed on North padre. When you get tired of the big city life, North Padre can be a real life saver. Relax and enjoy the sun with your significant other, your family or just meet new friends while enjoying fishing, learning how to surf or taking a walk down the beach. It’s all here …. Waiting for you! Come and experience the island life! News feed courtesy of the Corpus Christi Caller-Times. 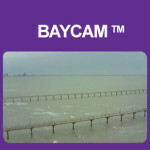 Events feed is on Webcams and Corpus Christi page. Copyright © 2014, npadre.com. All Rights Reserved. Designed by Active Media Pro.